Essential oils can be a great natural remedy for neck pain, and there is some evidence to support its efficacy. A study(1) was carried out at Hungkuang University in Taiwan to assess the effectiveness of essential oils on neck pain. Sixty participants with a history of neck pain were selected and randomly divided into control and experimental groups. The participants in the experimental group were given a cream containing marjoram, black pepper, lavender and peppermint essential oils, whereas the participants in the control group were given an unscented cream. For four weeks, all participants applied 2g of cream directly to the affected area daily after showering or bathing. The results demonstrated that the experimental group showed significant improvement compared to the control group in a range of assessments, including improved pain tolerance in the left upper trapezius and right upper trapezius. 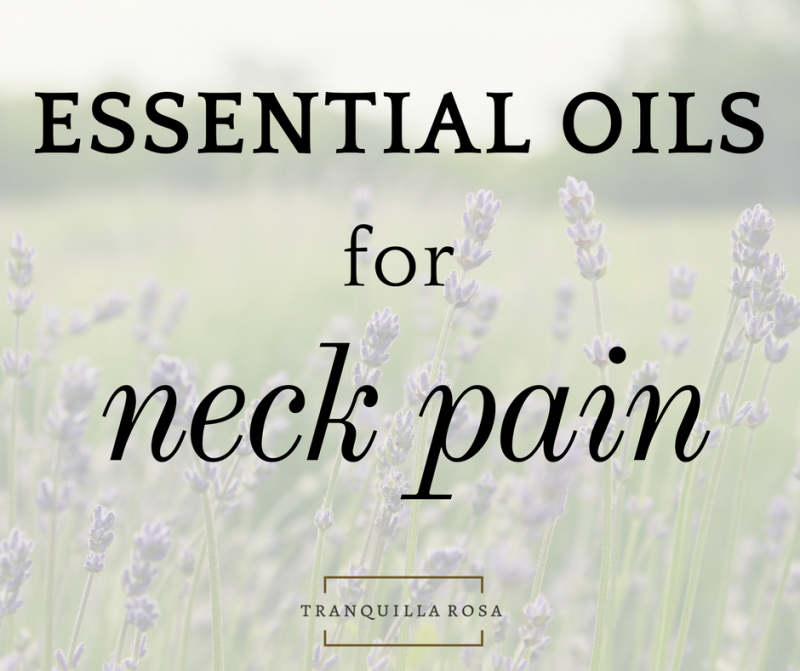 Therefore, the essential oils used in this study can be used to improve neck pain. Marjoram, black pepper, lavender and peppermint are some of my favourite essential oils for helping to relieve neck (and back) aches and pains. If you suffer from neck pain, why not ask me to include one or more of these oils in your aromatherapy massage blend? I can also make you your very own oil blend to use at home – a rollerball would be ideal to easily apply the oils to your neck throughout the day to help prevent and relieve aches and pains. (1) J Altern Complement Med. 2014 Oct;20(10):771-9. doi: 10.1089/acm.2013.0453. Epub 2014 Sep 5. The effectiveness of essential oils for patients with neck pain: a randomized controlled study. Ou MC1, Lee YF, Li CC, Wu SK.